I finally managed to migrate away from Firefox! After having tried all the major browsers like Chrome, Konqueror, Opera, and dozens of minor browsers like Midori, Epiphany, Vimprobable(2), Jumanji, Luakit, etc… I found it! VIM-like key bindings. I want my browser to be modal and act like my favorite text editor. My system is now finally lean & mean with Ubuntu Linux as the OS, i3 as the Window Manager (no Gnome or KDE), Conky as a notifier, Mutt as my mail client, Newsbeuter as RSS reader, VIM for any and all text editing, LaTeX for writing books and articles, ZSH in urxvt, and now UZBL for surfing the Internetz. My perfect setup. I had to tweak and squeeze the browser to make it behave just like I want it to – small stuff such as hitting “ogs” and then some search words to make the browser open up Google with the search results, or hit “tbi” to open up my blog in a new tab. And more involved stuff like restoring a closed tab by simply hitting “u”. 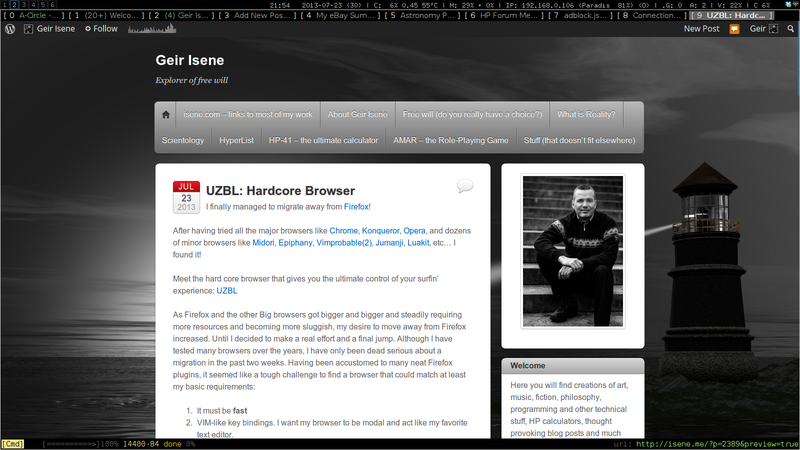 Firstly, I run “uzbl-tabbed” with this config and this follow-links-style. I changed the undo-tab scripts to this and this (so as to make it run on the latest uzbl version). If you want to try this browser, make sure to check out my config file – it includes some nifty stuff. Does that mean it does not work on windows xp or 7? Does it support things like cisco webinars, or “go to webinars” ? I tried Ubuntu with Firefox for a while and it was too problematic. Since that I am not a techie. I get stumped on the slightest aberation. Even things like upgrading the latest Java or Adobe reader, stumps me. Probably won’t work on Windows without a great deal of hassle. It’s only for Unix like OS. Reading this post I’m very confused. I’m a vivid reader about browser market all over the world. Opera on Webkit instead of Presto…with one eye I laugh, with one eye I cry. Related to your browser choice, beware that the stable release is soooo far away…No updates, nothing. Aren’t you afraid? 🙂 PS. Never understood why Opera is so popular in Eastern Europe (especially Russia and Ukraine), but is a fact. 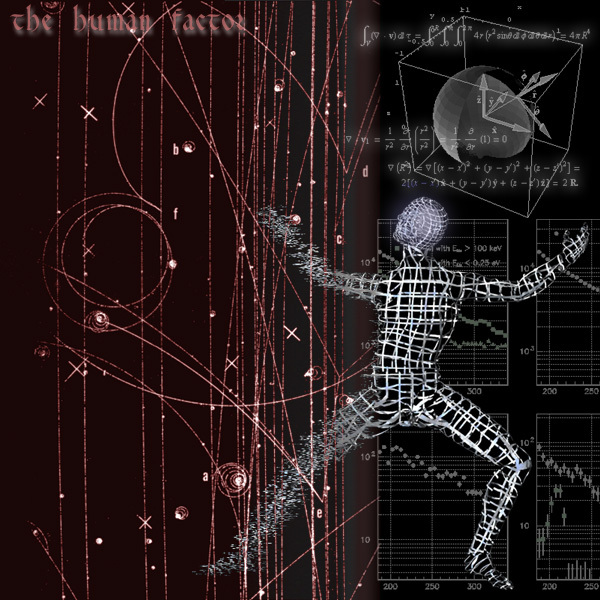 There is a fork that is actively developed by “mathstuf” – and he is a great guy and very responsive on the IRC channel. Does uzbl support proxies a-la FoxyProxy? I need SOCKS and I need it per-domain. merge time: 28 minutes and 24 seconds. build time: 28 mins vs 7 seconds?? Sold. You can use tsocks. It works with every application I tested. Well youse techies are fantastic and I admire you. My old iMac still gets your blog so I am slow but happy. I downloaded UZBL and it says that the download has been installed. I do not see an icon for it anywhere on my computer. I have both windows and ubuntu. On Ubuntu; Open a terminal and type “uzbl-tabbed”. That will bring up the browser. Forstly, the UZBL config file linked in the blog post is simply put into your uzbl user directory (.config/uzbl/). The config file is pretty self-explanatory with comments throughout the file. As for the Undo Deleted Tabs scripts, simply put them into your UZBL scripts directory (/usr/share/uzbl/examples/data/scripts/). The script “undo_save_exit.sh” saves tabs as you remove them, and the script “undo_restore.sh” restores tabs that was removed (although putting them at the end of the open tabs). In the config file, I have mapped the key “u” to undo7restore the last removed tab. You can continue to press “u” to restore the second to last removed tab, the third to last, etc.